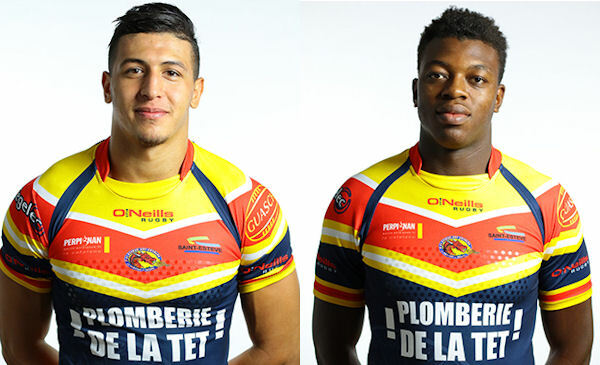 Leigh Centurions are delighted to announce the signings of French duo Ilias Bergal and Jordan Dezaria , both on two-year contracts until the end of November 2019. Winger Bergal, 21, has been called up to the France World Cup squad and spent time training with the Centurions towards the end of the season while forward Dezaria, 20, has already made five Super League appearances for Catalans Dragons. 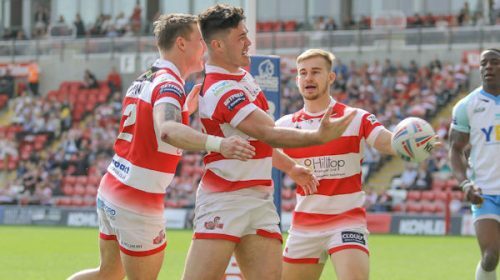 Leigh Centurions owner Derek Beaumont said: “These signings signal the first of a number of young players that our coaching staff have identified as having the ability to forge a good career in the game. “We aim to use our time in the Championship to our advantage and develop these players with the first team opportunities they will get as well as in the reserve team that we will operate. Bergal represented France under-19s against the Australian Schoolboys in 2014 and has played for the Dragons Under 23s side and France A as well as being a prolific scorer in the France Elite 1 competition with St-Esteve. In the latter part of the 2017 season he scored five tries in six games on loan to Swinton in the Championship, helping the Lions escape relegation with a try in their crucial victory over Oldham at Heywood Road. Dezaria, who hails from Avignon, has developed through the Catalans academy system and made his Super League debut at Warrington in June 2016. Leigh Centurions head coach Neil Jukes said: “Ilias and Jordan are two really promising young players and we are happy to give them both an opportunity with our Club. “Ilias is a good story. We met him when we played in Catalans and he came over to train with us. He impressed us with his preparation and his work ethic. He was first into training and last man out and he took that mentality into the games he played with Swinton when we sent him out on loan. 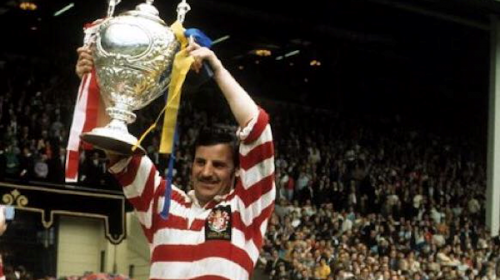 “It is pleasing to secure his services as a number of clubs were interested in him but Ilias showed good faith to Leigh Centurions, recognising we were the club to give him his opportunity of being in the shop window. “Jordan is another one for the future. He is a big, robust player and is eager for an opportunity and hungry to prove himself. 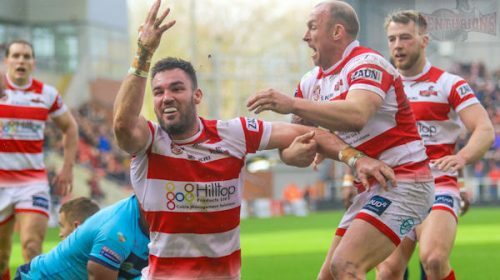 SHOW you support for Leigh Centurions by buying a season ticket for 2018- Click here for details!